By 2050, nearly 70 percent of the world’s population will reside in cities, increasing the size of the world’s urban population by more than two-thirds. Cities will need to focus on building the right things to ensure this growth happens sustainably—so how can they pay for it? Recognizing that finance is a core issue of sustainable urban development and one of cities’ biggest challenges, the International Development Finance Club (IDFC) hosted a side event on this topic at Habitat III in Quito. A long-term plan for a city with at least a 10-15-year horizon sets the stage for how it develops and what projects will ultimately need financing. Ultimately, it’s not just about the money, but what cities build with it. The New Urban Agenda adopted in Quito provides cities with standards for sustainable urban development that they can incorporate into these plans, and the Sustainable Development Goals and countries’ national climate plans (NDCs) provide still more important considerations. One critical characteristic of these plans, as noted by Simón Gaviria, chief director of the DNP, is that they should serve citizens’ rather than the government’s needs. Development finance institutions (DFIs) can help cities develop strong and effective plans. For instance, Koki Hirota, JICA’s chief economist, shared how JICA has supported hundreds of master plans for cities undergoing rapid urbanization in an effort to support development while preventing future inefficiencies in delivering services to city populations. Once plans are in place, cities often need help with feasibility studies and preparation to get projects like bus-rapid transit systems or building efficiency retrofits to a stage where they are “bankable,” or financially viable and able to secure financing from third-party sources. However, city governments, which can be good at designing broader city plans, often hit a wall when it comes to creating a pipeline of bankable projects. DFIs are helping to address this challenge. As Rémy Rioux, AFD’s CEO, explained, AFD launched its 100 cities/100 Climate Projectsinitiative last year at COP21, which provides grants to cover project preparation costs and then lends to projects once they are developed. Local institutions like local commercial banks and mayor’s offices understand the local financial system, players, challenges and opportunities. So it’s important that national and international institutions work with the local players. In light of this, the DNP is making an effort to collect data to better understand Colombia’s cities. DFIs can collaborate with local government and financial institutions to provide additional funds and knowledge. One approach is to provide a loan to a local financial institution for “on-lending,” where the local financial institution uses the borrowed money to provide loans to its clients, which in this case, are cities. The involvement of mayors, national planning agencies, private sector developers and investors, and civil society groups are all needed to develop and finance sustainable cities. DFIs can bring financing to the table, and they can also help enhance coordination between these different actors. 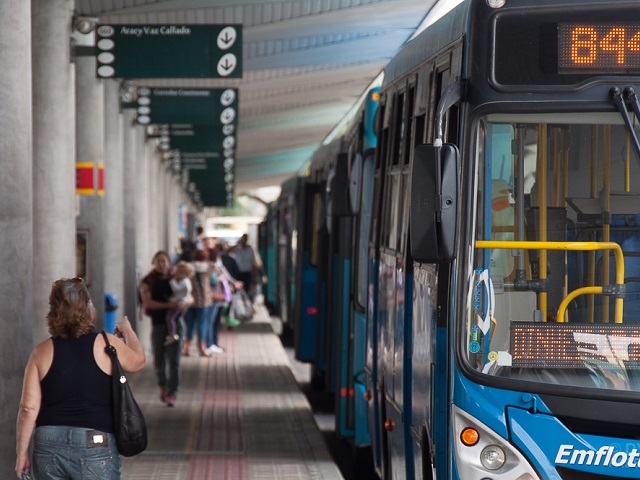 For example, in CAF’s Cities with a Future project in Guayaquil, Ecuador, CAF’s financing for housing, transport, water and sanitation programs helped transform the city and improve quality of life of its citizens. The program involved strong coordination with multiple actors, including the mayor, city planners, community organizations, local agencies, private sector operators and utility companies. While DFIs are already doing much to support sustainable urban development, there’s room for more innovation. Part of this involves further exploration of instruments and models that would support investments in sustainable urban services, like guarantees to de-risk projects, bonds to raise debt financing from pension funds, or public-private partnerships to capture land value. Another area involves direct engagement with cities. DFIs often ask cities to provide a guarantee from the national government (ensuring that payment obligations will be met) before providing them with finance; this can cause delays or limit cities’ options if the national government refuses. IDFC members like AFD do not have this requirement. Changing internal policies to allow DFIs to channel funds directly to city governments would open new doors for collaboration.